Watch the video and the movie and understand better how important your health team is to your wellness. Stroke is a very common cause of disability, and the fourth leading cause of death in America. So any news about stroke should remind us to discuss stroke risk with out doctors. 2014 will make big changes in how we get our healthcare. These changes are not only in our insurance, but also in our doctors, our hospitals, and our medications. How will you succeed health-wise in 2014? It is logical that having a good physician with whom you have a close relationship can improve your sense of confidence in your medical care. But does it result in improved outcomes? 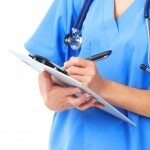 Do Nurse Practitioners Give You Better Care than Your Doctor? With the expansion of health insurance from the Affordable Care Act and other insurance reforms, more patients will have access to physicians. In order to accommodate this increased burden on the healthcare system and increased availability of higher quality care for patients, there will be more widespread use of nurse practitioners. Does Your Doctor Have a Conflict of Interest with You? Health care reform is forcing doctors to work for less income. As a result, doctors are downsizing their practices – keeping fewer nurses and support staff on payroll. With fewer people to help you, your care will likely deteriorate. The end of the year is quickly approaching, which typically means open enrollment time for employer-based health plans, as well as Medicare, is also approaching. Now more than ever is the time to seriously consider your options for health care, and to know what is best for yourself.